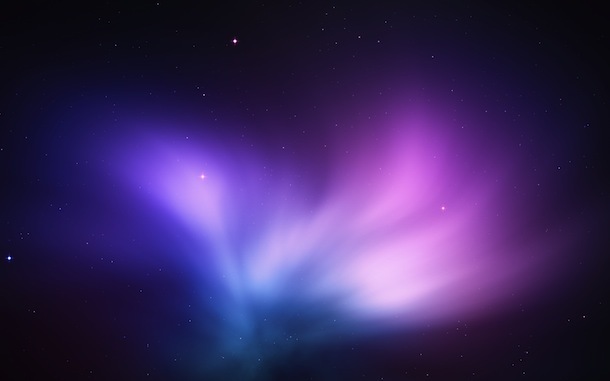 I really like the Aurora spacey galactic themed wallpapers that come with Snow Leopard, so I was pretty excited when I came across this original background picture on one of our readers websites. It’s a great variation of the galaxy theme and looks completely at home on my Mac’s desktop. Thanks for my new desktop picture Anton! Thanks I have been looking for a change. Any more? You don’t need a mac to enjoy this, looks at home on Windows 7 too.